There’s a pretty powerful, virtual analog poly-synth on the market that many keyboard players are unaware of: the Radikal Technologies Accelerator. Players and producers ranging from Mark Ronson to Timbaland to Paul Schaffer to Michael Boddicker have been putting this synth to use for years (secret weapon, perhaps? ), and players familiar with the mighty Spectralis Hybrid Synthesizer may already be familiar with Radikal Technologies as well. We were fortune enough to spend a few months playing around with an Accelerator in our studio, and while its peculiarities may not be every player’s cup of tea, the Accelerator proved itself to be a beast of a sound design tool, with some monstrously fat sounds that you’d never think came from a digital sound machine. 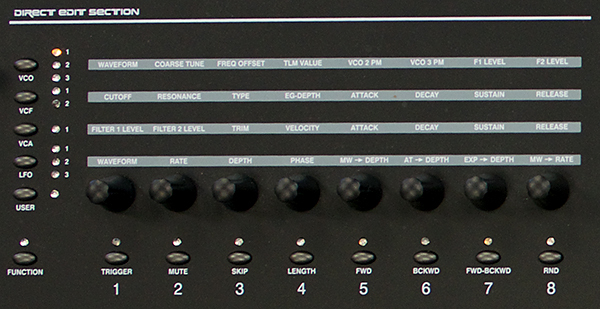 The Accelerator is a virtual analog poly-synth available in different configurations based on how much polyphony you require (the base model is an eight-voice poly-synth, expandable up to thirty-two voices). This stage-ready synth is housed in a metal case with wooden end caps, and it sports a high quality, 61-key keyboard with channel after-touch. 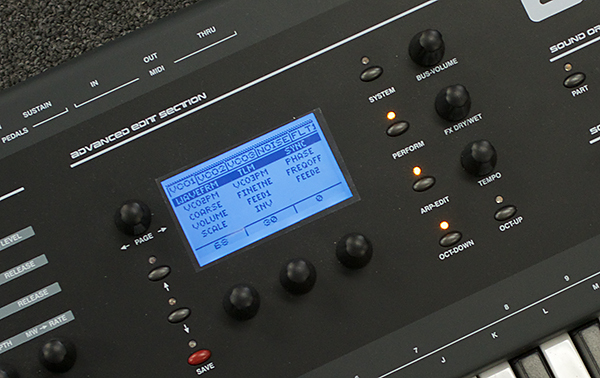 The synthesizer features three oscillators with sweepable waveforms, six envelope generators, four LFOs, noise, two multi-mode filters per voice (low pass, high pass, band pass, and notch, switchable 12 or 24dB per filter), and four effects busses for digital effects including delays, reverbs, modulation, distortion, and pitch shifting. Two modulation matrixes provide an overwhelming array of options: one of them has thirty-two nodes for voice parameters and the second one has eight. Expansion boards (up to two) increase polyphony up to 32 voices, and also enable the synth to build sounds using up to eight independent synth sounds (think large combinations as found in workstation keyboards). There’s an onboard arpeggiator as well as a step sequencer, pitch and mod wheels, MIDI In/Out/Thru, USB connectivity to a host computer (for MIDI, not audio), and a 2.5” monochrome display that provides details on everything from sound name to the settings of various synth parameters. 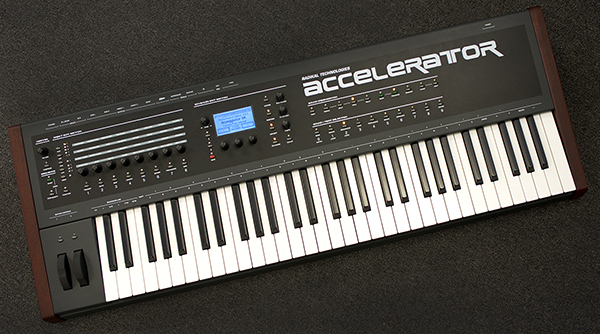 The Accelerator has some very useful features that we wish our other synths offered: direct, single-button access to sound selection, easy naming of your sounds thanks to each key on the keyboard being labeled with a character or symbol, a randomization feature that can lead to inspired sound design, and a chain feature that lets you take your favorite sounds and string them together in a desired sequence for easy, single-button patch selection. Other useful features include a global effects bypass button, which disables effects routing for all of your sounds, and the synthesizer also features sound spillover, whereby if you hold or sustain a keyboard part with your hand or footswitch and change to another sound, the old sound remains audible until you lift your hand or foot, and then that sound decays naturally according to its programming. And in the truly “out there” features category, the Accelerator has an internal accelerometer, so if you happen to have a custom keyboard stand that lets you tilt or drop or otherwise move your keyboard around, you can route modulation and other parameters so that as your keyboard physically moves, so does your sound! Unfortunately, though, basic operation of the Accelerator proved to be somewhat confusing—this is not an intuitive synth to operate! Although the labels on various keys seem to indicate easy operation (and there’s a built-in help system, too), things don’t often work as anticipated. For example, while you can hit one of ten buttons to select a sound in the current bank, there is no obvious set of controls to change banks. This requires looking at the display and either turning a knob or pressing a soft button underneath the display to change banks. Or, press a Bank button, select a bank, then press another button to return to whichever operating mode you were in prior (if you just followed that, then maybe this won't seem so perplexing to you). Further, the Accelerator makes confusing work of keeping track whether or not you’re in a single sound, a Multi (similar to a combination in workstation parlance), or if you’re in the keyboard’s Performance mode. There are simply too many different places you need to look and keep track of to know where you are at a glance, and moving around within a specific mode is often times cumbersome. Sound design doesn’t get much easier, as the Accelerator is quite deep, but relies on a matrix from which you press soft buttons alongside a printed grid of options and then turn knobs below each column. Or, you can look at the monochromatic display, which shows all of the settings across multiple tabs in the interface. Once you turn a knob, its values appear on the display, though, making it easy to see what you’re setting. But there’s nothing intuitive at a glance to visualize the signal flow as you might experience on more traditional analog and virtual-analog synths. 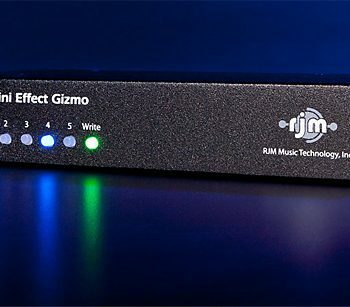 These days, with so many synths offering a large number of physical controls, and many synths offering true one-knob-per-function programming, working with the Accelerator is a bit like stepping back in time a decade or two (granted, the keyboard was first conceived almost that long ago). Confusing operation may not matter if your end game is sound design or use in the studio. In that regard, there’s a reason many pros have snapped these synths up: the Accelerator is a highly authentic sounding, modeled-analog synth, and some of its sounds are downright fantastic. “Solplexus” is a monstrous sounding lead sound with a Moog-like attitude and a big digital delay that will inspire your inner shredder. “Sweeper” delivers classic, Oberheim-ish tone a la “1984,” while “Fat Brass” has that classic, ‘80s Roland vibe. “New Fantasia” has more of a late ‘80s digital charm with its bright timbre and subtle movement, while “70s Pad” is just that. If we had to characterize the sound in general terms, we found that the Accelerator reminded us quite a bit of the Korg Wavestation minus the wave sequencing. Pads, leads, and brass sounds all exhibited a similar sonic quality to that classic keyboard. 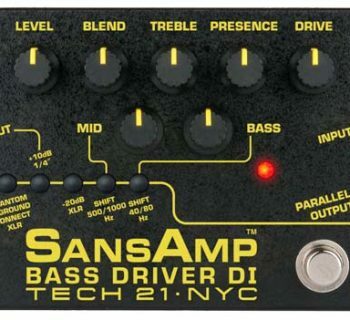 Bass sounds are especially fat sounding, and highly authentic, assuming we’re talking about analog synth bass, to be clear. But don’t expect to be overwhelmed entirely right out of the box, as the presets collection could do with a bit more variety. We found far too many washy pads with extremely long decay trails drowning in big reverbs, and not as many simple keyboard sounds ready for pop music chordal work. You can find a variety of additional sounds for download on the Radikal Technologies website and in their user community/forum. Speaking of the effects, they are truly outstanding. Bypassing the effects and auditioning sounds without them showed just what kind of a difference they impart to the sounds. At first we thought the synth was sonically lacking without the effects, but deeper revelation showed that the effects are just doing what any good studio does to your classic analog synths: makes them sound bigger and better! The eight-voice Accelerator sells for $2,195, and each DSP/voice expansion board is $395. 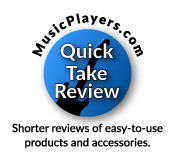 It packs a solid value for a pro synth with robust build quality, an excellent keyboard, and authentic sound quality. 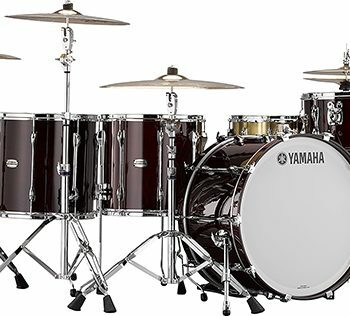 It is a solid choice for sound designers and players who crave unique-sounding instruments. If you’re only a fair-weather programmer, though, given the shortage of useful presets, you might want to pass on this particular synthesizer unless you’re ready to roll up your sleeves, or actively participate in the keyboard’s online community.